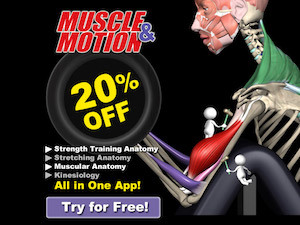 The Present Use of the Term "Muscular Activity." The Physiological Effects of Muscular Activity and their Hygienic Value. Muscular Activity a Necessity for All. The Conservation of the Enjoyment of Muscular Activity. General Character of the Most Useful Exercises. Some Examples of General Exercises: Cycling. Some Examples of General Exercises: Games. Importance of Walking as a Means of Exercise. Fresh Air not a Substitute for Muscular Activity. The Shape or "Figure" of the Body. Round Shoulders as a Type of Faulty Carriage. Their Cause. The Period of Growth Especially Favorable for the Acquisition of Round Shoulders and Other Deformities. Education of the Consciousness of Correct Posture. The More Important Faults of Form and Carriage. Special Exercise for the Training of Nervous Coordination. The Gymnasium as a Means of General Muscular Exercise. Hygienic Value of Corrective Work. Hough T & Sedgwick WT (1906). Muscular Activity (Chapter XVII), The Human Mechanism Its Physiology and Hygiene and The Sanitation Of Its Surroundings, Ginn & Company, pgs 305-333. Professor of Biology in the Massachusetts Institute of Technology; Author of" Principles of Sanitary Science and Public Health," etc.